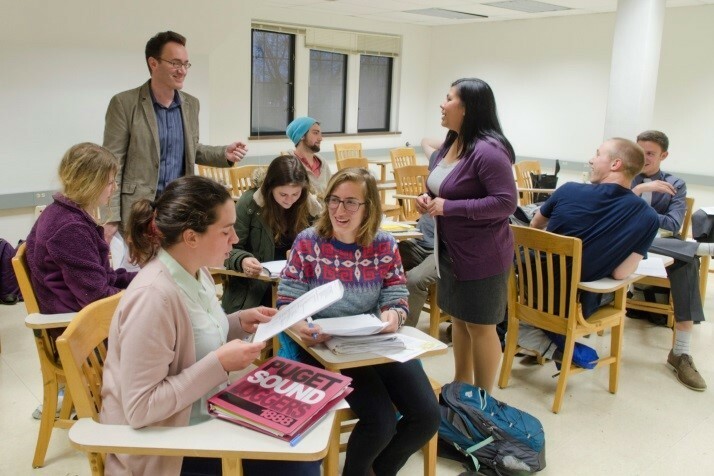 Beyond the Southeast Asia Symposium, the University of Puget Sound has developed a variety of programming in connection with the LIASE initiative, bringing together Southeast Asian environmental, cultural, and linguistic topics. These include guest lectures, visiting scholars, workshops, and the field school courses that form the core of our LIASE program. Professor Joe Bowersox, the Dempsey Endowed Chair of Environmental Policy and lead-faculty on Willamette University’s Luce LIASE grant, was invited to lead a faculty workshop at Puget Sound, which brought together an interdisciplinary group of 16 Asianist and non-Asianist faculty to discuss experiential learning and field schools. Puget Sound took the lead in convening a collaborative network of Southeast Asianists across the five colleges of the Mellon-funded Northwest Five Consortium. (NW5C member colleges are Puget Sound, Willamette, Lewis & Clark, Whitman, and Reed.) The network, Southeast by Northwest, successfully applied for a $10,000 grant from the NW5C’s innovation fund to facilitate a series of guest lectures and collaborations between NW5C faculty whose work focuses on Southeast Asia, and create a forum to share pedagogy and research related to Southeast Asia across the five colleges. Khamlar Phonsavat from Laos and Kristina Silaban from Indonesia, two Humphrey Scholars from Cornell University, presented faculty development workshops, consulted with Asianist and non-Asianist faculty, and delivered public lectures. Faculty and students in the 2014-15 PacRim program, students in Sociology and Anthropology, and students in the Environmental Policy and Decision-Making program attended the presentations. Marcy Summers, the founder/director of the Alliance for Tompotika Conservation, an NGO focused on conservation in Sulawesi, Indonesia, became a new collaborator in the field schools pilot. She visited campus and presented a lecture to students and faculty from Asian Studies and EPDM. Her deep engagement in conservation in Sulawesi was invaluable to students who would later visit some of the conservation sites she discussed. Cari Coe, Associate Professor of International Affairs and Vietnam Environmental Policy expert from Lewis & Clark College, delivered a public lecture at Puget Sound to a large audience of Puget Sound faculty and students including students from the pilot course. 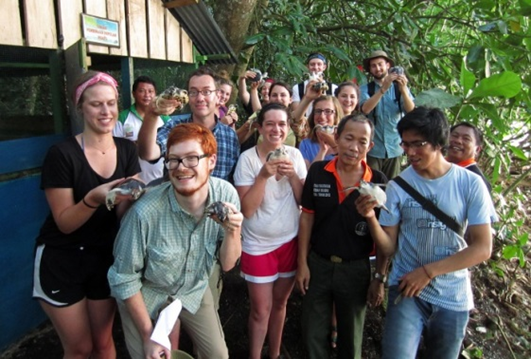 Professor Coe's research into the variable nature of national park enforcement and awareness in Southeast Asia was described as "eye opening" by several students. The core of Puget Sound's LIASE program is a series of immersive field-school courses. The first of these took place Spring Semester, 2014, and was taught by Associate Professor Gareth Barkin. 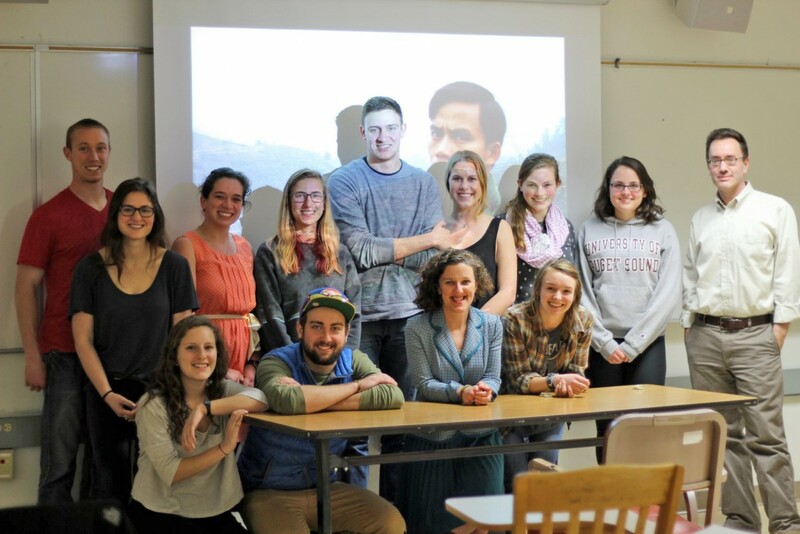 Professor Barkin taught the anthropology-focused course beginning on the Puget Sound campus where students investigated the prehistory, archaeology, and initial migration to the region, as well as early colonialism and nationalism, while receiving an introduction to regional biodiversity-related issues from coral reef conservation to clean water issues to agriculture and its historic/contemporary impacts on environmental sustainability. The semester course incorporated a variety of guest speakers and connected with the broader campus community through these open presentations. Students studied and read a variety of scholarship to help develop ideas for their individual, in-country research projects. Additionally, they studied basic Indonesian language from native speaker Lely Shim. In their individual research, students examined contemporary socio-cultural concerns, and considered topics such as religion, gender, ethnicity, and cultural change, as well as conservation. The course also incorporated an immersive stay at Atma Jaya University, in Yogyakarta, Indonesia. Puget Sound and Atma Jaya students partnered, as planned, to complete culturally rich, ethnographic assignments, engage in conservation related activities, and collect data for individual research projects which the Puget Sound students had begun prior to arrival in Indonesia. Language instruction continued in country. 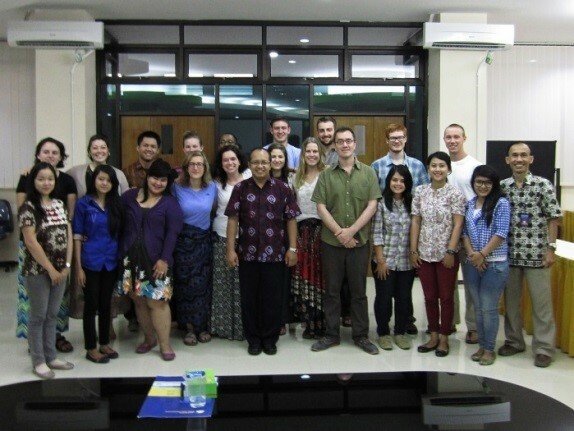 Students attended guest lectures by Indonesian scholars, took trips to cultural and historic sites, and conducted research. Later, in North Sulawesi, they were joined by biology professor Peter Wimberger, and participated in conservation projects at Tangkoko National Park and Bunaken Marine Reserve. The conservation projects included participation in a marine coral health assessment, a ‘head start’ program sea turtle release, and Malayo bird nesting ground rehabilitation. 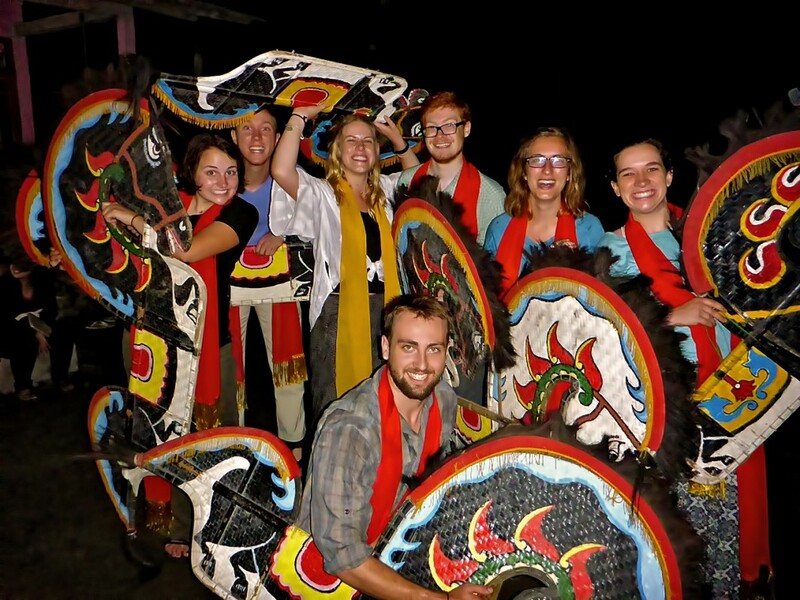 Students had overnight homestays with Javanese families in the rural village of Ponggol.